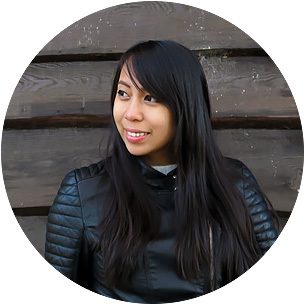 But that drastically changed as time went on, because I realized that not just about anything ‘works‘ when it comes to travel gear because there are a lot of items out there that can make my travel lifestyle much less of a hassle and a whole lot more efficient. Sure enough, I wanted to take advantage of those. Nowadays, function is paramount but style is equally important too; so you could imagine how grateful I was when I stumbled into Urban Traveller & Co. As a brand, they collect and sell high-quality items sourced from all over the world that perfectly combines style and function. I currently own several items from Urban Traveller & Co and they have been huge life-savers when it comes to my packing processes. Apart from that, I’ve even noticed that a lot of people who I’ve met in my travels can’t keep their eyes off my bags — in a good way! They always complimented me and thereafter ask excitedly as to where I bought my backpack from. That’s why today, in case you’re curious too about what bags you have been seeing on my Facebook photos and Snapchat snaps, I will present to you some of the items that I have come to love from Urban Traveller & Co. Besides, I bet that you would love them too since they could immensely improve your packing and travel experiences! As a digital nomad and online travel writer, I bring along a LOT of gadgets with me whenever I travel; that’s why Venque’s CamPro Bag is the perfect carry-on backpack for my flights — it’s not only comfortable, slim and stylish, but it’s also incredibly helpful for organizing my stuff. I really love how I could place my tech items efficiently in its adjustable sections because it gives way for easy access (rest assured, you can move these dividers around or just take them away depending on your packing needs). The whole bag is well-padded too for protection, so my laptop and camera are always secured! If you’re curious about the items that I can pack inside this CamPro bag, come and check out my ultimate carry-on packing guide! Whenever I simply need to hole out in a cafe or at a park to work with my laptop, I always bring with me my This Is Ground Mod 2 case given how it can hold all of my tech essentials: MacBook, iPhone, tablet, and chargers (aside from other essentials like: money, cards, notebook, and pens). Minimal yet practical, I’ve fallen deeply in love with this premium leather case. To know more details as to why, come and read my review post here. If you’re looking for a good ol’ backpack for your everyday use, I suggest that you look into Venque’s two backpack styles: FlatSquare and Classic. Designed for urban trendsetters, the charming shape and style of these backpacks combined with its quality-made materials make for a perfect addition to your wardrobe and to any occasion. You could even pack in a laptop inside these bags’ sleeves and you’re set to go! Heading out to the gym? A short trip to the beach? A hike somewhere? A camping trip? Well, take heed: the all-weather Bomber Barrel Duffel Bag makes for a great companion. Made with materials that can withstand dust, water, and slashing, it can protect your essentials fully and with ease no matter where you go. And should push comes to shove, it even comes along with emergency paracord and military-grade clips to help you be prepared with whatever situation there may be. For a complete review of this item you can read my post here. Urban Traveller & Co truly offers the latest quality brands that are innovative and sophisticated. Apart from the items above that I have come to own and love, they also offer other products that can suit your needs: briefcases, EDC tools, wallets, organizers, and more! As of this moment, you can order online via their shop (they ship WORLDWIDE and if you use the coupon code: DigitalNomad you’ll get 10% off!). Otherwise, if you’re in the Philippines, you can also visit their outlet at Rockwell Powerplant Mall, Makati at R2 level Archeology wing near National Bookstore and TWG Tea. DISCLAIMER: I received these products for free from Urban Traveller & Co in return for an honest review. As always, I only recommend and write about brands that I personally use or believe in. Therefore all views that are expressed here represent only those made by myself and NOT of any other entity in their favor. 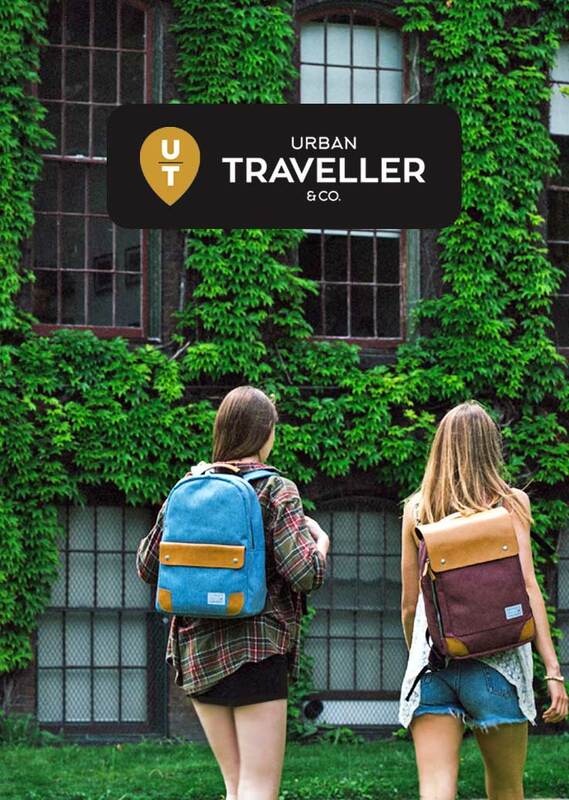 What do you think of these items offered by Urban Traveller & Co? What of those listed would you like to get your hands on? checking out their stuff right now! so far we've been buying a lot of bags that are mostly functional but not as stylish. love the campro bag! :) so nice how slim it is and it looks great for carrying our camera gear. does it have a laptop compartment too? This is my first time ever hearing of this company. I went to their website and I LOVE their camo Cypress backpack. The backpack that I use now is pretty similar and was available on amazon. It's been a real trooper thus far, but as soon as it fails, I'll be purchasing the Cypress. These are some cute bags!! I love the Ground Mod 2 case. That would be prefer for me and my laptop! I am always trying to keep up with my stuff and being able to travel with my computer would make it so much easier! The design is simple and sleek! I love it! True that! I've used this bag not only for my daily use but for short trips nearby my place too and it works like a wonder! I have pretty much the same idea in mind as you once had -- anything works! I don't travel a whole lot, but I can see how these travelling companions would all be wonderful assets. I'm a sucker for organization, and these bags offer just that! Haha yeah. After suffering back pains and wasting time with bags that I didn't put much thought into, it was such a breath of fresh air to own and use bags that actually are more efficient such as these! This post came at the perfect time...as I've been looking for a new carry-on bag/travel bag. I've always just carried an over-sized purse but they are not very comfortable and especially not made for long-haul travel. I especially love the Venque bag's design! Now that I can ditch the diaper bag since my boys are older, I am on the hunt for a great backpack for when we go out on adventures, such as a museum or zoo. Thanks for all of the different backpack options--I would love to be able to choose something fashion forward that doesn't scream "mom" because this mom does have style! Off to shop and then off to new adventures! For my everyday carrier I would have to pick the digital nomad case. First, I love the color and smoothness of the leather. I like that it has multiple pockets hold your electronics and it can be customized to fit the need for that particular day. I also like that it really take place of carrying a purse, everything you need is right there. I really like the nomad case. Looks sleek; wondering if it has a shoulder strap. I'm always on a plane so something that isn't bulky is super helpful! I love that square daily backpack. I am looking for a replacement to carry my laptop around. Need something with protection and padding for the laptop, that looks elegant too. Will check these out. Happy to hear, May! For sure, these items will fulfill your needs!